There’s something incredibly powerful about being a black woman. And with that power comes a lot of responsibility. That is why it is our priority to celebrate the very women who are often overlooked, underrepresented, and marginalized in society and corporate America. We have put together an incredible series of events and timely conversations for the 14th annual Women of Power Summit in Las Vegas. That’s right. We’ll be working hard and playing even harder because black women deserve it! Just think about the last time you were able to take four days off work to focus on your personal and professional development with 1,200 other black women? It’s either been a while or you haven’t experienced our summit yet. Whichever answer it is, here are 17 reasons why you need to meet us in Vegas Feb. 28 – March 3. 1. Fellowship and network with other black women. – All eyes are on black women right now. And there is no better place for us to look than to one another. 2. The Legacy Awards Gala. – This year, we are proud to honor Cynthia Marshall, CEO of the Dallas Mavericks; Chaka Khan, singer, songwriter, actor, and activist; Pulitzer Prize-winning author Alice Walker; and Bishop Vashti McKenzie, 10th Episcopal District AME Church. These are women who have paved the way in the in their respective industries and we cannot wait to recognize them as trailblazers. 3. Girls trip to Vegas. – It’s time to play as hard as you work! This summit will be the only time what happens in Vegas shouldn’t stay in Vegas. We want you to turn up and take away everything the summit has to offer! 4. Get the tools you need to cultivate diverse allies from Carla Harris, vice chairman, Global Wealth Management, managing director and senior client advisor at Morgan Stanley. – As the African proverb states, “If you want to go far, go together.” Following a frank exploration of unconscious biases and fears, we’ll offer specific proactive steps you can take to include those who don’t look like you as part of the solution you and your organization need to thrive. 5. Learn how to become a better negotiator. – Salaries, bonuses, benefits, raises, exit packages — whatever you’re facing, you may have more options and bargaining power than you know. Yet, even seasoned negotiators sometimes struggle when what’s on the table is their own bottom line. Tap into the strategies, tactics, and principles that will help you get what you deserve. 6. Experience the critically acclaimed Michael Jackson ONE Cirque du Soleil show. – If you are a lover of all things Michael Jackson or Cirque du Soleil, you need to be at this show. Yes, you should pack your red or shimmery jacket! 7. Add more powerful women to your tribe. – Boss women have to stick together! We know that it can be difficult to connect with others when you have a busy schedule. Most bosses have that problem! Come meet women who you can grow and level up with. 8. Get the tools you need to position yourself to be a C-suite candidate – Lisa Wardell, president and CEO at Adtalem Global Education and Tracey Travis, CFO at The Estée Lauder Cos. Inc. – Engage in real talk with C-suite executives on influencing outcomes, time management, political savvy, managing millennials and Gens X, Y, and Z. 9. One-on-one sessions with executive career coaches.— Last year, our career coaches helped women level up across the board. Due to popular demand, we’ve increased the number of coaches from 4 to 23. Read why you need a career coach. 10. Reignite your sense of urgency and create a clear intention for your life with Bishop Vashti McKenzie and Debbie Dyson. — Come set your intentions and be inspired by one of the most powerful women behind the pulpit! 11. Engage in real conversations about race and gender in the workplace. 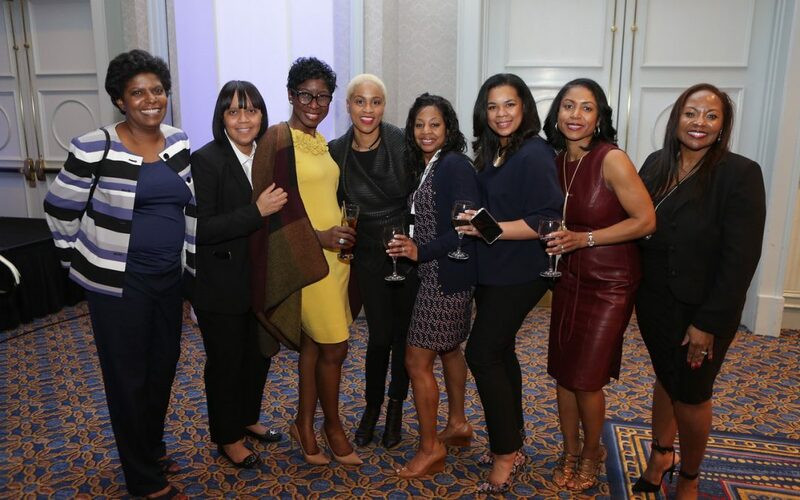 – Through open, honest dialogue with experts in the field, we elevate the issues that are shaping race and gender relations within companies today and teach strategies for successfully navigating race and gender at every level of your organization. 12. Elevate your style with Macy’s Mystylist. – Do you need style coaching to further your career? Meet with a professional style coach and Macy’s MyStylist for customized insight to help you elevate your career wardrobe with a few sophisticated, yet simple tips and tweaks. 13. Meet the next generation of professional women. – Real talk from this panel of bright young corporate leaders on getting noticed, being heard, and gaining a seat at the table early, then leveraging it to level up and bring others along with them. How have they done it and how can you? 14. 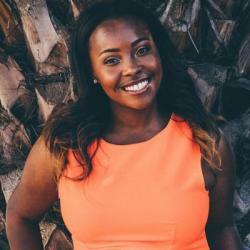 Get Board ready with Richelle Parham, Partner at Camden Partners. — There’s no one-size-fits-all formula for board candidates but there is a set of critical qualities that enhance your readiness and ability to leap when an opportunity arises. Directors who bring relevant, diverse global thinking to the boardroom are needed more than ever. Are you one of them? How do you get there? Find out, here. 15. Hear from political masterminds Valerie Jarrett and Symone D. Sanders. — The ultimate White House insider and senior adviser to President Obama opens up about her journey as a daughter, mother, lawyer, business leader, and public servant on the eve of the April release of her memoir. That’s right: We get the exclusive up-close sneak peek. 16. Get up close and personal with Stacey Abrams. – Stacey Abrams had one of the boldest and most historic campaigns of our time. Meet the woman who despite tough odds and high stakes had the tenacity and temerity to seek power. 17. The SistersInc. Entrepreneurs Masterclass with Mahisha Dellinger, founder & CEO of Curls Beauty Brands and Evita Robinson, founder of Nomadness Travel Tribe. — Elevate and expand your entrepreneurial mindset. Learn the essentials of transforming an idea into a successful business. Discover businesses in which you may want to invest and some sisters with whom you may want to do business. We could give you another 17 reasons, but you’ll have to experience Women of Power for yourself. Click here to get your tickets today!